Number of times I watched A Christmas Prince: 1 (and that’s all I needed, ha). Snow Days: Just 1. 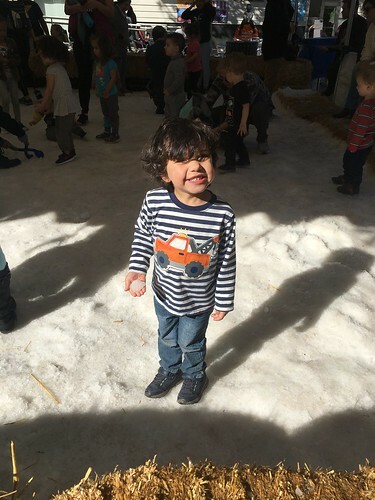 It took some corralling to get Riley into the snow at the local kids museum and admittedly one minute after this picture was taken a kid pegged him in the face with a snowball (WHOOPS). Books Read: 1. I started and finished Little Fires Everywhere by Celeste Ng and go ahead and add it to your list right now. She is an amazing storyteller. Trips to Target: 4 maybe 5. Seriously, maybe even more. I swear I made so many trips to Target it was almost embarrassing. 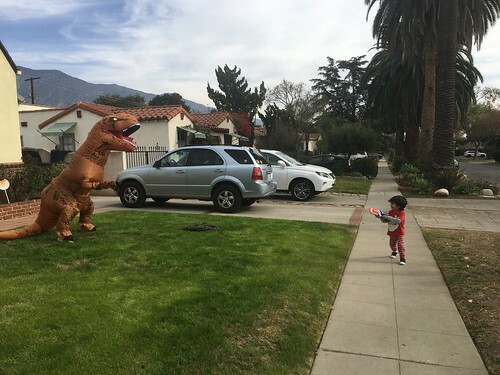 Dinosaur Sightings: Just 1. But it was on Christmas and Riley hasn’t stopped talking about it since. Time it took two toddlers to open Christmas presents: Less than ten minutes. Seriously, it was a blur or a tiny tornado if you will. 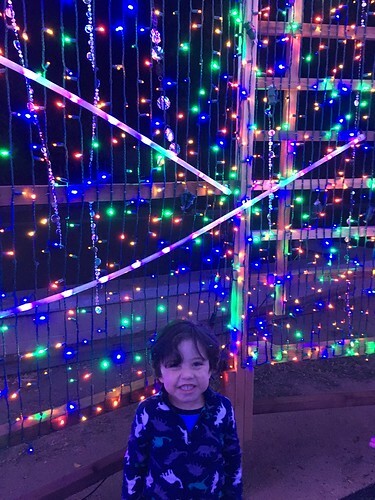 Visits to Zoo Lights: 1 and even though it was crowded, it was pretty dang magical. Number of cookies consumed: The limit does not exist. Similarly, number of donuts and sweets eaten: I have no idea. But it’s probably a lot. Number of Christmas stories read to Riley: We have at least twenty and I’m pretty sure I read all of them at least five times each. Christmastime was alive and well in his world. Number of times I realized how different this picture will look next year: At least 10. But really, holy crap. 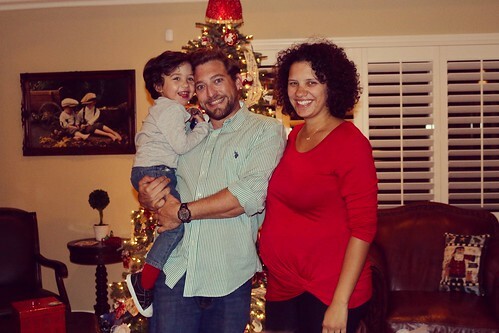 Next Christmas there will be four of us. Times I stayed awake until midnight: ONCE. NEW YEAR’S EVE. I MADE IT TO MIDNIGHT. And then passed out in bed at 12:15 and Riley woke me up at 1:10. THANKS UNIVERSE, I GET IT. I’m not meant for midnight any more. And how were your holidays? Previous post: Onto the Third.